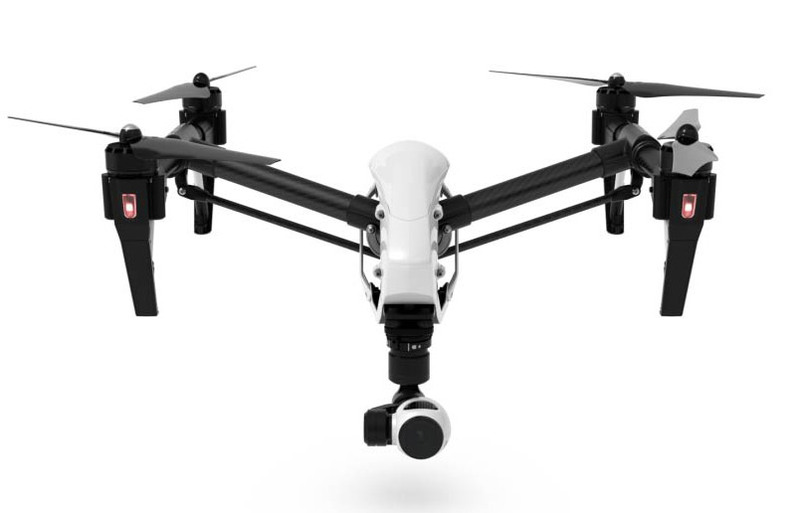 Shoot up to 4K video and capture 12 megapixel photos with the built-in Inspire 1 camera. See what your camera sees in real-time 720 HD, perfect the framing, and never miss a shot. The strong carbon fiber arms lift out of sight, giving you a full, unrestricted 360⁰ view of the world below. Get crystal clear images with DJI's most advanced camera to date. The gimbal holding your camera is the result of DJI’s years of expertise in camera stabilization, giving you smooth, stable footage in any flight conditions. Flying indoors is easier than ever with Optical Flow technology that provides accurate position holding even when GPS is unavailable. The sensors determine your Inspire 1’s location and altitude and lower the legs automatically when landing. Take complete control of your camera and flight system with a comprehensive mobile app.